Benjamins are pleased to bring to market this beautifully presented extended three bedroom semi-detached house located in the highly regarded village of Keyworth. The property is situated in a cul-de-sac location on Lilac Close and is being sold with the benefit of no onward chain. This property would make an ideal purchase for first time buyers, professional couples or families. 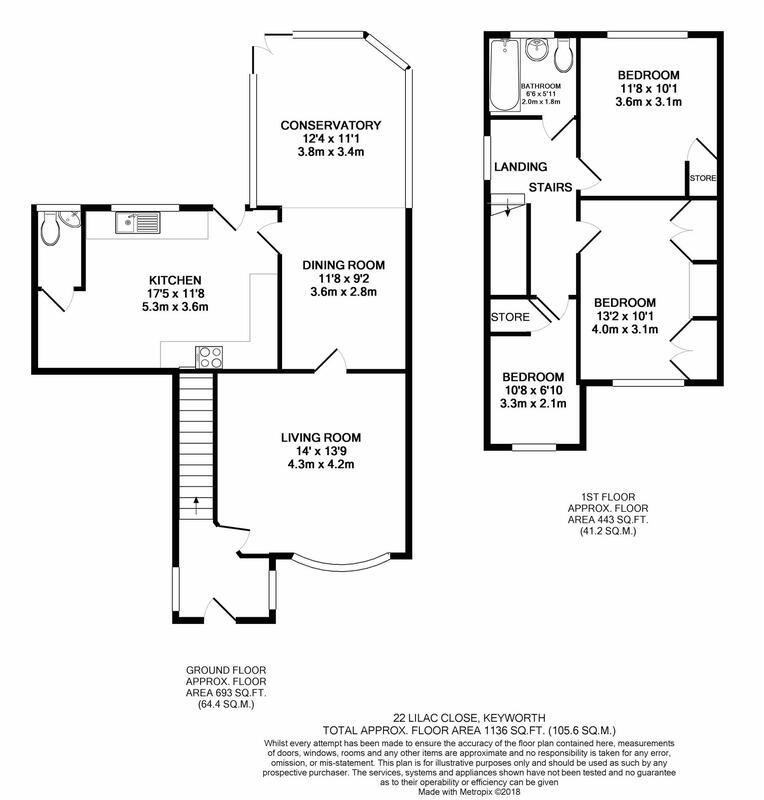 The accommodation briefly comprises of an entrance porch, living room, dining area, kitchen/diner, downstairs wc, conservatory, three double bedrooms, bathroom. Outside there is ample parking on the driveway with carport area & enclosed garden to the rear and a garage. EPC & Floorplan to follow soon. UPVC front door into entrance hallway, windows to both of the side aspects, radiator, heating controls, stairs up to first floor landing & door into the living room. UPVC double glazed bay window to the front aspect, built in storage cupboard, ceiling light fitting, radiator, carpet & door into dining area. Dining area opens out into the conservatory & door into the kitchen, ceiling light fitting, radiator. With a range of floor and wall kitchen units with work surfaces over, tiled splash backs, sink with one & a half bowl with drainer and mixer tap over, integrated oven, gas hob with extractor fan over, plumbing for dishwasher, two radiators, space for tumble drier & fridge freezer, ceiling spot lights, seating area for small table & chairs. UPVC double glazed door & window overlooking the rear garden. Door to the WC. UPVC double glazed frosted window to the rear aspect, low level wc, hand wash basin with mixer tap & storage below, radiator, flooring continued from the kitchen. Stairs from the hallway to first floor landing with UPVC double glazed window to the side aspect, access to the loft via hatch and doors to three bedrooms & the family bathroom. UPVC double glazed window to the rear aspect, built in storage cupboard, ceiling pendant fitting, radiator, carpet. UPVC double glazed window to the front aspect, fully fitted built in wardrobes & drawers, ceiling pendant fitting, radiator, carpet. UPVC double glazed window to the front aspect, built in storage cupboard, ceiling pendant fitting, radiator, carpet. A three piece suite comprising of wash hand basin & WC with built in storage, panelled bath fully tiled around with mains shower & extractor fan with light over and glass shower screen, towel radiator, half tiled walls, opaque UPVC double glazed window to rear aspect. The rear garden is fully enclosed with lawn, mature shrubs & tree, decked patio area from the kitchen & conservatory which follows down the side to the rear of the garden with a seating area. The current owners have their hot tub in this area (not included in the sale). The garage can be accessed from the garden and has a roller shutter door power & lighting. 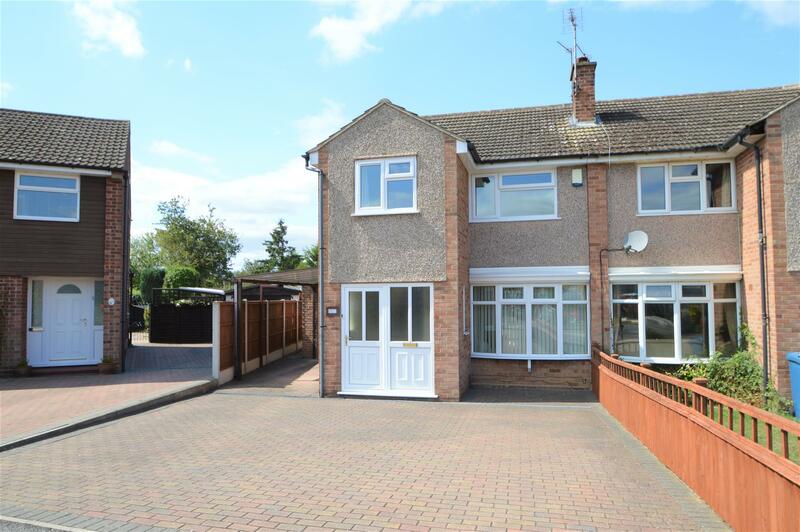 The front of the property is block paved with a carport to the left & gated access to the rear garden.